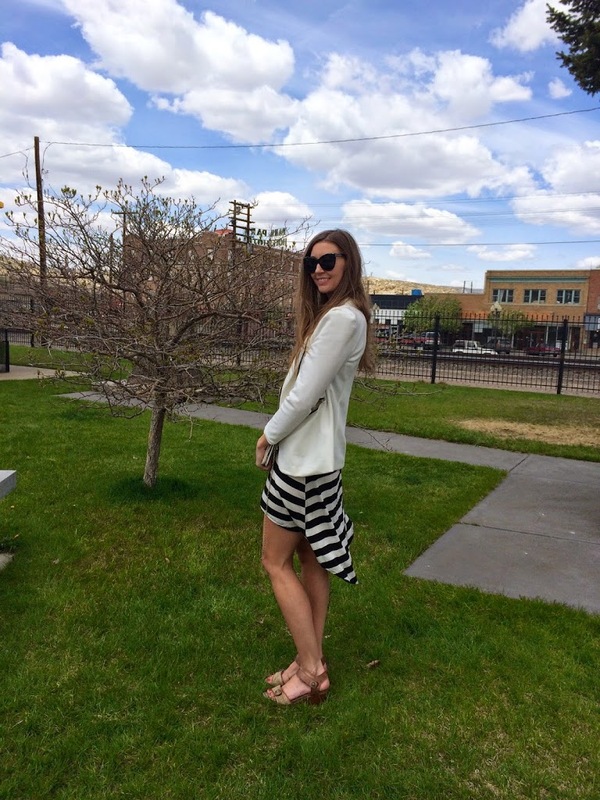 Something about spring always makes me want to wear stripes, especially if it’s blue and white or black and white. 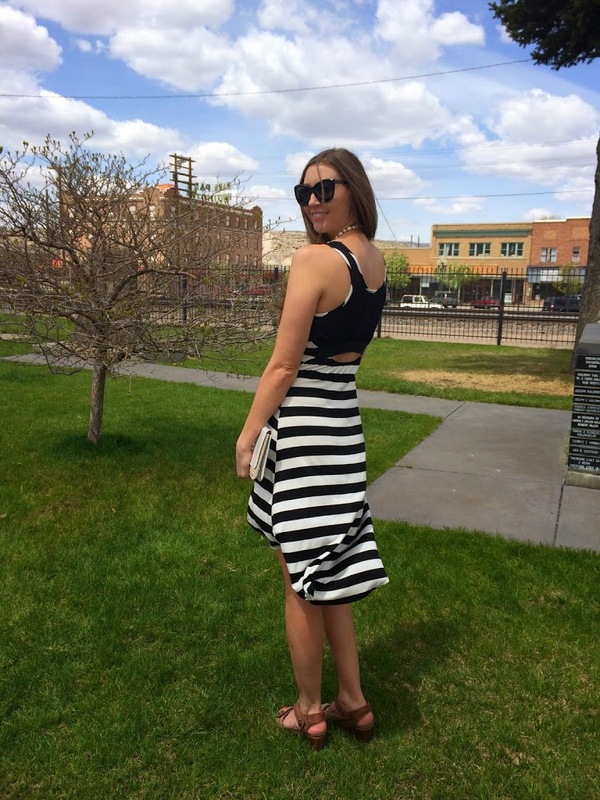 I found this lovely asymmetrical black and white striped jersey dress from House of Ragz (Only $17!) and am totally in love with it! It is super comfortable and chic, and sure to make a statement this season! If you haven’t shopped HouseofRagz.com, you will LOVE their fashion and be SHOCKED with their prices! Sold right here in the good old USA, their clothing is offered in a wide range of sizes too! 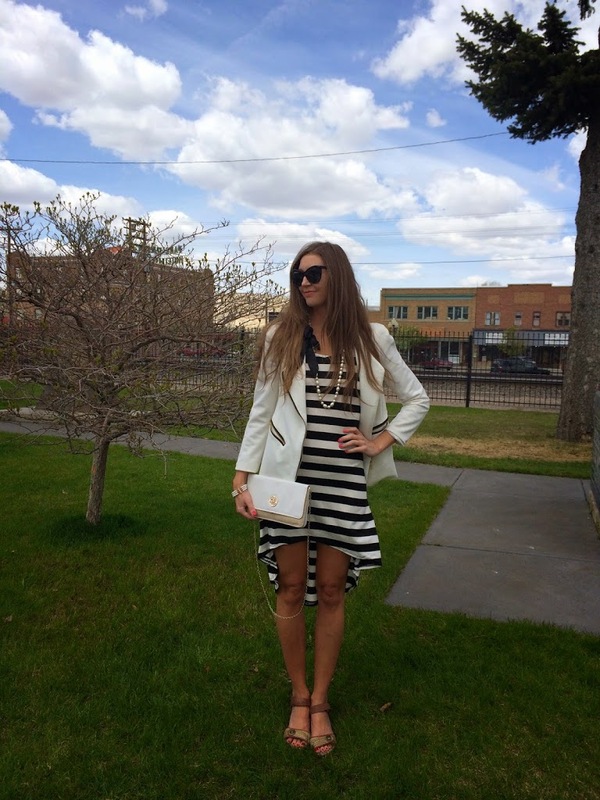 Along with this gorgeous dress, I also got to try out this beautiful Ivory Clutch with Shoulder Strap only $12! Yes! You read that right, $12 for this stunning clutch! You can find something for every taste here, and House of Ragz also has some really lovely pieces of jewelry you will want to be sure and check out too! Most of them around only $5-$10! For these insanely low prices, I’ll admit, I expected the dress and bag to be “cheap” but they are anything but. The bag rivals higher quality clutches and bags I have in my closet, that I paid $50-$100 for! The dress is also super comfortable, not see-through, and perfect for wearing everywhere this summer! Because it’s jersey its perfect for packing for your weekend getaways this summer! No Wrinkling. Also, don’t miss the super chic lace detail and cut out on the back of this dress! Absolutely gorgeous! For only $29 total for this chic clutch and on-trend dress, you absolutely can’t go wrong! 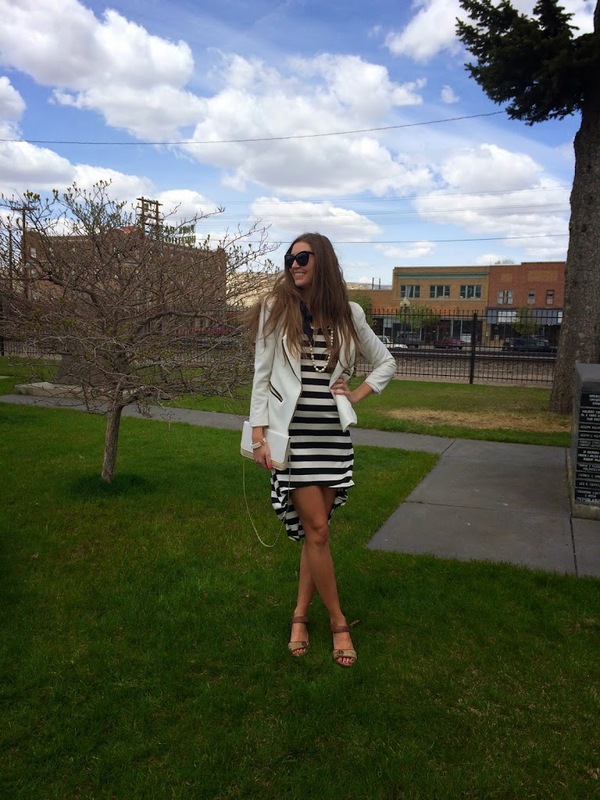 This outfit is a STEAL! So are the rest of the fabulous fashion finds at HouseofRagz.com, so hurry and shop them today! *I was given these products for the purpose of review. However, all thoughts and opinions expressed in this post are solely my own. I only share reviews with my readers, I feel will be beneficial or informative to them in some way. What a cute outfit! I love that blazer! Great outfit, I really love the bag. Great outfit, love your blazer!